Underneath the glittering Petronas Towers, between the highways of bumper-to-bumper traffic, Kuala Lumpur’s street food stalls beckon. A considerable melting pot of Asian ethnicities, you’ll find Malay, Chinese and Indian influences sprinkled throughout menus. Put aside a few days to allow your tastebuds to savour all the flavours on the tastes spectrum. Chinatown can help out those with a sweet tooth with an abundance of food stalls within close proximity of each other. Brickfields or Little India is where you’ll discover some of the city’s best Indian dishes. Enjoy renowned specialty stalls including Brickfields Pisang Goreng and Ah Keong ABC & Cendol. 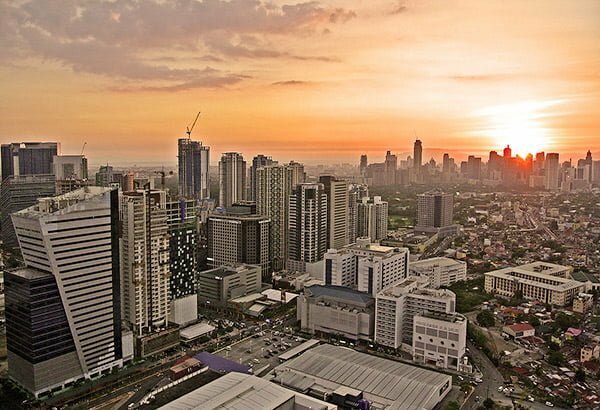 For a bit of everything, put an evening aside for Jalan Alor. The night food market buzzes with restaurateurs and stall vendors tempt your appetite with delectable morsels served on a stick or a plate. Roti Canai is a fairly simple dish. It can be best described as the Malaysian equivalent to pancakes. Flour, salt and water are combined to make a dough which is then brushed with butter. The roti is rolled out and cooked on a hot plate where it expands, crispens and becomes a flaky flatbread. The Indian influenced dish is a typical breakfast dish and is best enjoyed with dal or a Malaysian curry. 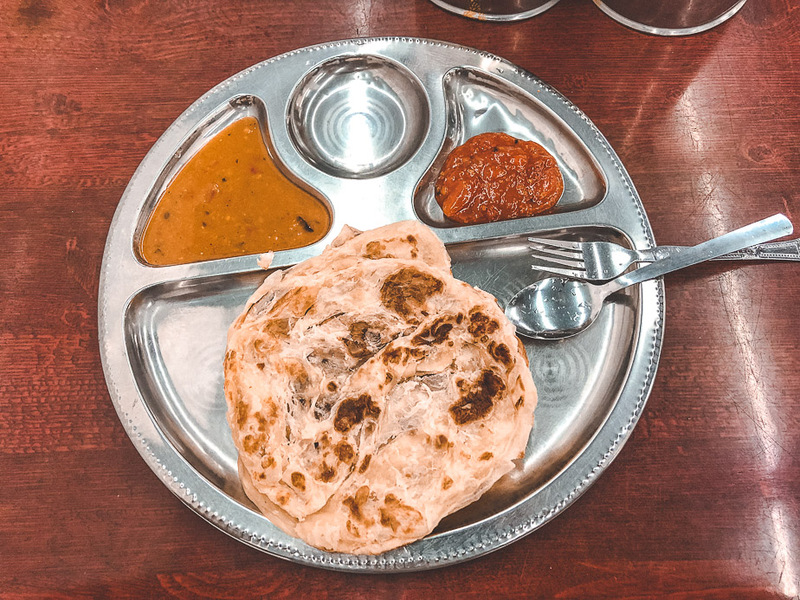 In the eateries around Brickfields, you’ll typically find roti canai accompanied by condiments including chilli chutney, dal or a yoghurt based sauce. Three portions will set you back around MYR 5 and will provide enough substance to get you ready for the day. Considered Malaysia’s national drink, Teh Tarik is an extremely popular drink amongst the Indian-Muslim community. The drink combines black tea and condensed milk which is ‘pulled’ between two cups. The process aerates the tea and helps it to thicken as the hot liquid cools. Teh tarik can taste quite bitter to the uninitiated, as the flavour of the tea leaves often overpower the sweetness of the milk. 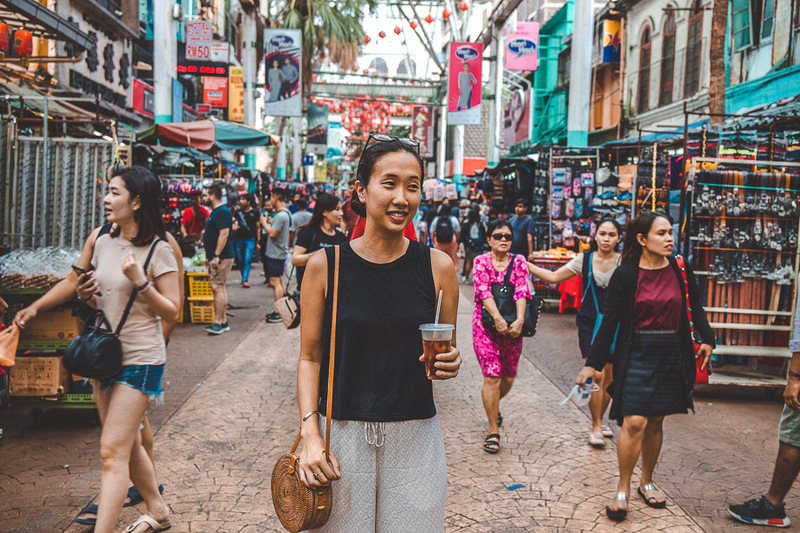 We suggest finding one of the Indian restaurants or street vendors around Brickfields and ordering a small glass of teh tarik with your roti canai. A south-east Asian staple, visiting a satay stand at one of the city’s food markets is a must. Choose your seasoned skewered meat and take a seat while it’s grilled. Your table or stall will provide a range of sauces to go with your meat. Peanut sauce is a popular choice and most often associated with satay. Most satay sticks cost between MYR 3 – 5 each so this meal won’t break the bank. However, we would suggest choosing quality over quantity as this is one street food where you can really taste the difference. The beauty of satay is that its small size means you can hop from one stall to the next, sampling each vendor’s wares before deciding on your favourite. Chicken Wings?! But I can get these at home! Hear me out. Sometimes a restaurant produces a dish where its reputation precedes itself. At Jalan Alor Night Market, the must-eat dish along the busy strip of food vendors is the Grilled Chicken Wings at Wong Ah Wah. Wong Ah Wah has gone from food stall to full-blown restaurant with plenty of seating inside and outside. The special chicken wings take prime position on the front page of the restaurant’s extensive menu. Accompanied with a homemade chilli sauce for dipping, the chicken is lighter in flavour compared to American buffalo-style wings. At MYR 3.30 per wing (minimum order of 2), we suggest ordering a plate for yourself. Prepare for finger-licking goodness. Praise the deep fried food gods for this treat. Now you wouldn’t expect something as simple as a banana fritter to taste so darn good, but believe me – you’ll know when you’ve found an expert. The key lies in the choice of banana variety. The premium choice of banana for pisang goreng is the pisang raja, known for its mouth watering properties among adoring fans. When combined with a batter that is light and crunchy, pisang goreng takes the gold medal for street food snack across the city. The most famous stall in Kuala Lumpur is Brickfields Pisang Goreng. Visit in the afternoon after they open at midday. When you order wantan mee, you may lead to believe that you’ve received two dishes for the price of one. This Chinese dish comes served with the pork and noodles in one bowl and the wontons in broth served in another bowl. Long thin egg noodles are mixed with a Chinese-style dark sauce consisting of dark soy sauce, sesame oil and garlic. The noodles are topped with slices of barbeque pork and steamed choy sum. We found our plate of Wantan Mee at Ho Weng Kee on the lower ground floor of Lot 10. The basement has been converted into a Hutong Food Court and is an excellent choice if you’re looking to try a range of food within a short timeframe or prefer indoor seating. Kuala Lumpur is hot and humid. So you’ll need something refreshing to quench your thirst. Grab a cup of Air Mata Kuching. The primary ingredient is mata kuching, otherwise known as Cat’s Eye Fruit, and bears remarkable similarity to the Longan (Dragon Eye Fruit) or lychees. The tropical fruit is combined with cane sugar, water and large quantities of ice. The chilled drink is sweet and refreshing. To find the drink on the streets, head to Chinatown. 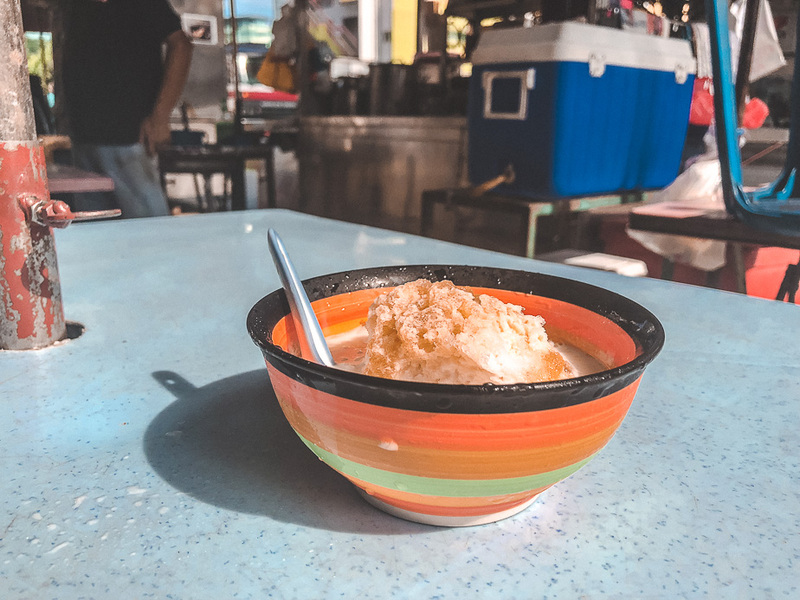 At the intersection of Jalan Hang Lekir and Jalan Petaling, look for a wagon with large buckets of ice and a queue of people waiting for a cup of the icy cold refreshment. A small cup will set you back MYR 2. Unmistakable, pungent and delicious. 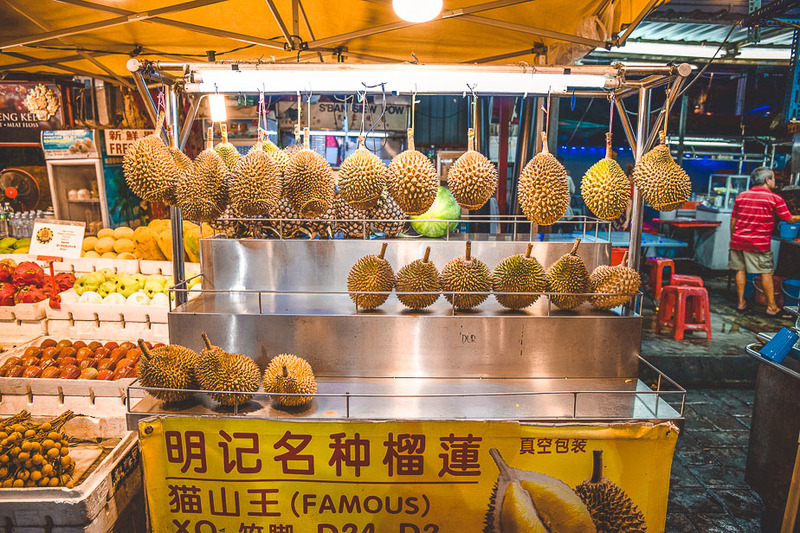 Touted as “the smelliest fruit in the world”, durian certainly leaves curious tasters divided. Those unfamiliar with durian’s unpleasant smell are usually turned off from tasting the notorious Asian fruit which can be eaten fresh or as an ingredient of ice cream and cakes. If you can get past the smell, it’s been said that durian contains subtle hints of chives mixed with powdered sugar – if you can imagine such a combination. Admittedly, cendol does not look appetising. Somewhat resembling wet seaweed, we can tell you that it certainly doesn’t taste like wet seaweed. Cendol is a green jelly made from pandan leaves. By itself, it would not be very filling but combined with shaved ice, palm sugar syrup, coconut milk and sweetened beans, cendol becomes a terrific dessert ingredient. The dish provides perfect relief from the humidity. Think of it as the Malaysian equivalent to gelato! We’re relatively certain that putu bambu is the sugary snack that Malaysians seek to combat their afternoon slump. Putu bambu is a sweet food made with rice flour, palm sugar, a pinch of salt and pandan leaves. It’s the pandan leaves that give putu bambu its bright green colour. The mixture is stuffed into bamboo pipes and steamed. Once cooked, the cylindrical treat is rolled in desiccated coconut before serving. The small spongy cakes are best eaten fresh while they are still warm. We recommend tasting putu bambu at Putu Bambu Tradisi following a visit to Chinatown. The Travel Quandary ventures to places to discover the secrets off the tourist trail. 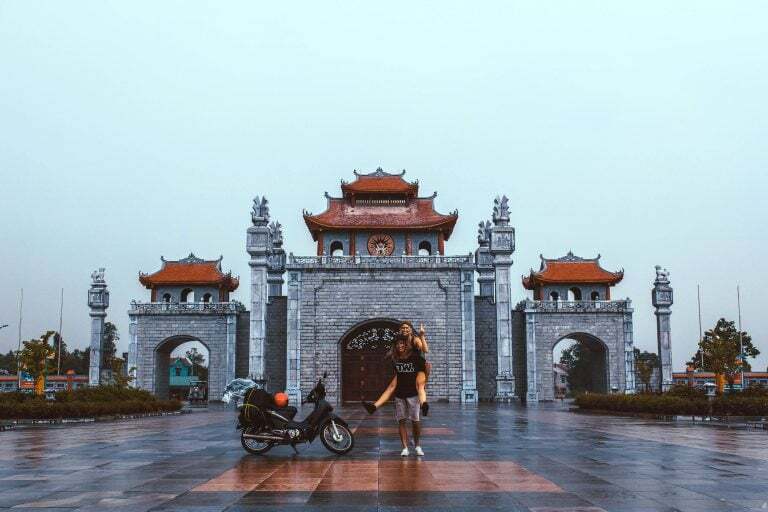 Forever searching for the next culinary adventure, you’ll find us frolicking with the locals and getting lost among the scents, the history and the tastes of each country. 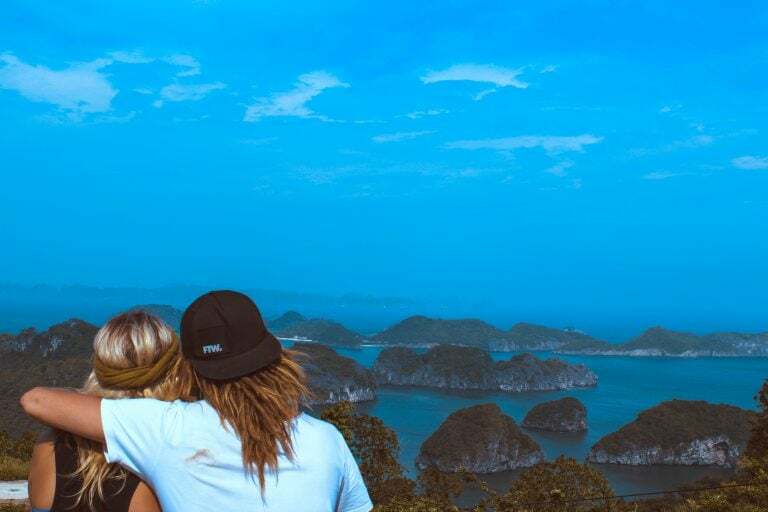 Follow their travels on social media on Facebook and Instagram!